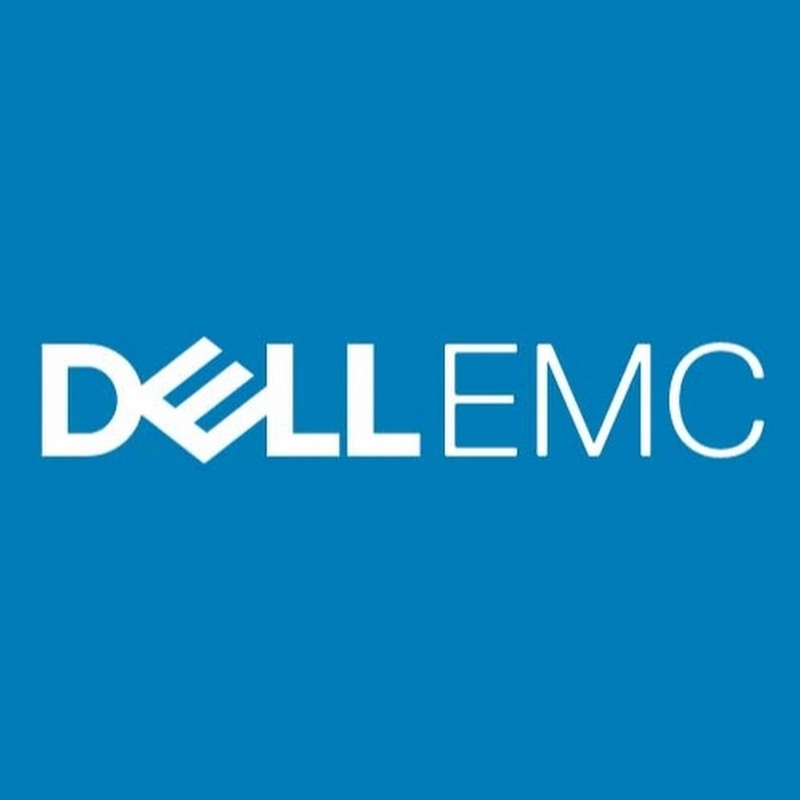 Dell Technologies World this year was a combination of the former Dell World and EMC World events that has come about from the joined companies. This year, I think one of the most important and exciting announcements to come out of the show was a sneak preview of the new blade chassis, the Poweredge MX 7000. Fast forward about 4 months and that blade chassis is now officially released. This new blade enclosure is the replacement for the aging M1000e chassis, which has served well for a long time. Its not aimed at the FX2 or VRTX markets, so the three products will continue to exist side by side and likely be refreshed on their own schedules. We can be sure that the MX enclosure has been designed to serve for 4 or more generations of server refreshes, just like the M1000e was. The MX7000 is a 7U enclosure that has room for 8 blades. Your standard dual socket server blade will be a full height, single width blade. A quad socket blade will also be full height, but double width. There are 6 power supplies along the bottom of the chassis and 4 fans up the middle. In the image below, we see 4 single width dual socket MX740c blades in the left half of the enclosure. On the right half of the enclosure is a one double width MX840c blade, which is a quad socket box. Of note here is that the MX7000 is less dense than the FX2. This move to slightly less density is a trend we are seeing throughout the industry as CPU packaging becomes harder to accommodate in some of these form factors. With this platform targeted to last for multiple generations, some headroom needed to be built in for future CPU architectures. One of the biggest differentiators in the MX is that its been designed without a mid-plane. The blades connect directly to the connectivity switches that slide into the rear of the chassis. This will hopefully allow for a longer useful life for the chassis, as it will allow the system to adopt new connectivity options as they become relevant in our data-centers. The gear has launched with two 14G blade options: a dual socket MX740c and a quad socket MX840c. 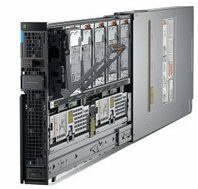 As I write this, CPU options run the entire range, right up to the Intel® Xeon® Platinum 8180 with 28 cores per socket. These will evolve over time. The dual socket blade has room for 24 DIMMS with the quad socket blade doubling that. One of the notable things about these blades is that the dual socket box has room for up to 6 x 2.5″ drives. Thats a lot of onboard storage for a single slot blade form factor. Combine this with the storage sled, called the MX5016s, and you have a lot of flexibility to deploy various software defined solutions. This storage sled has room for 16 x 2.5″ drives. 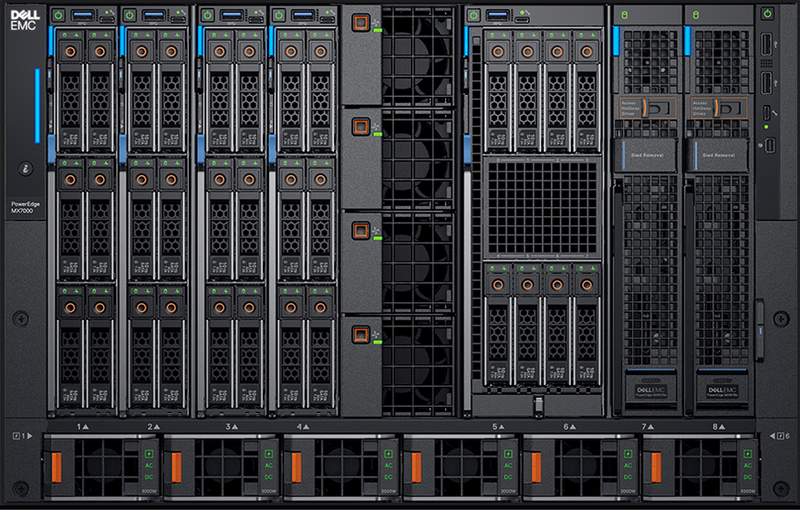 The drives in these sleds can be allocated to any of the servers, and you can have multiple storage sleds in a chassis. These servers have all of the typical options you see on Dell 14G servers, including the slick new iDRAC 9 with its HTML 5 interface, along with Quick Sync, and the BOSS controllers for boot devices. Other management will be via embedded management modules in the rear of the chassis separate from the compute blades. As you add more chassis to the environment, you can chain up to 20 chassis together to view the entire environment all at once. It has a handy REST API, and is compatible with the Open Manage Mobile app. These modules will perform the typical chassis lifecycle management functions. From a networking perspective, there are a couple options at launch. In the storage fabric we can install an MXG610S, which is an 8 port x 32G Fibre Channel switch. For the network fabrics we can go with an MX5108n which is a 25G ethernet switch with 10G, 100G, and 40G uplink ports. There are also fabric switching (MX9116n) modules, which are managed devices, as well as fabric expander (MX7116n) modules which are kind of like passthroughs with no OS or code on it. The MX7116n can connect to the MX9116n via dual 200G cables. The idea here is to connect multiple chassis together to create a large east-west traffic domain and minimize latency and management. Think of the MX9116n like a top of rack switch. You could, for example, put an MX9116n in two of your chassis, and an MX7116n in the remaining chassis. Seems like a great replacement for the M1000e. I like the size and form factor, and I’m excited about the connectivity and storage capabilities that I’m sure we’ll see develop as the platform starts shipping. What do you think about the platform? Let me know in the comments section below.